“cold song” was exhibited at the Sullivan Galleries in Chicago as part of the curated section: High Ceilings with the Master of Fine Art Exibition in 2009. 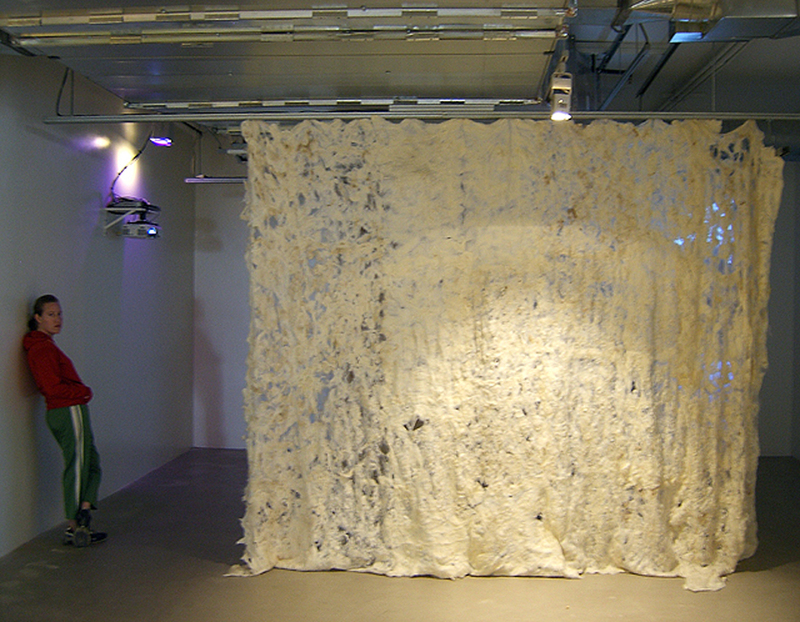 The exterior portion of the installation is handmade felt from raw wool, hair, and seeds from the natural landscape. The video was filmed on Lake Ojibwe in Northern Minnesota and the soundtrack incorporates the documented stillness as well as a “felted” song made created from a poem using the etymology of the word felt.